WHY IS manufacturing is important in the fight against unemployment, CY Kim- Managing Director (LG Electronics South Africa), asks? 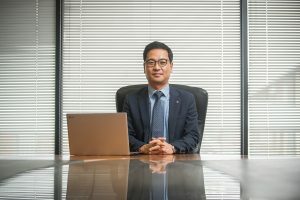 CY Kim, Managing Director -LG Electronics South Africa, asks why why is manufacturing important in the fight against unemployment? The official unemployment rate for South Africa at 27 percent is currently among the highest in the world therefore jobs to stimulate economic growth is one of the most important tasks facing our developing nation and its one that many manufacturers are committed to. The report says the most sustainable investment is people because they think, adapt, invent and change. People are resilient and come up with smart ideas that change the world. More than 11,000 executives from 124 countries participated in the global survey, including 354 South African business and HR leaders. Many South African business leaders operate with very traditional mindsets. As companies transform and digital organisational models emerge, leaders need to evolve as well to manage across cultural, demographic and organisational boundaries. LG is committed to building a great South Africa.